Facebook will wrap up the first day of F8, its annual conference for developers, with a concert from Grammy-winning hip-hop artist Chance the Rapper. The free show will be held Tuesday night at San Jose's City National Civic. Tickets were handed out earlier in the day at the Temple Bar and Lounge in downtown San Jose. Thousands of fans were seen lining up to get their hands on free tickets to see the 24-year-old rapper. 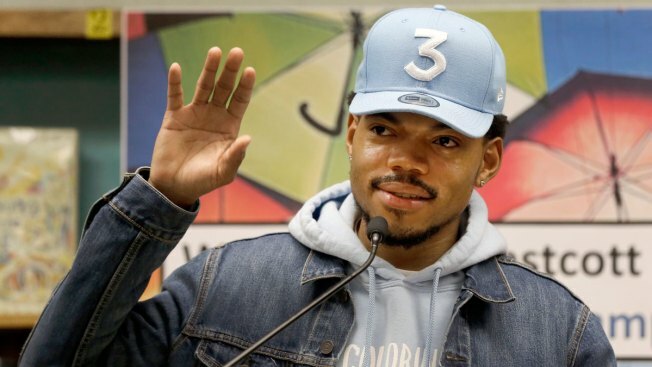 Chance, whose real name is Chancelor Bennett, made history at the Grammys by being the first to win with a stream-only album. In all, he took three wins out of seven nominations at the Grammys for "best new artist," "best rap album" and "best rap performance." Bennett recently made headlines by donating $1 million to Chicago Public Schools. The Chicago musician said the donation was a "call to action."